When Adam and Stephanie Surrey learned at their 20-week ultrasound that their fourth child would be born with serious, life-threatening lung and heart irregularities, they were devastated. But soon, they were given even more heartbreaking news: There was a good chance that their baby — whom they’d already named Marion — wouldn’t survive outside the womb for more than a few days. And while surgery was an option, there was a good chance she wouldn’t survive it. 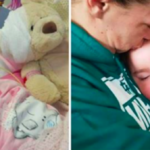 In fact, doctors later told the Surreys that Marion’s chance of surviving surgery was actually “in the single digits.” It was then that the Missouri parents made the heartbreaking decision to forgo surgery and allow their daughter to pass away naturally. 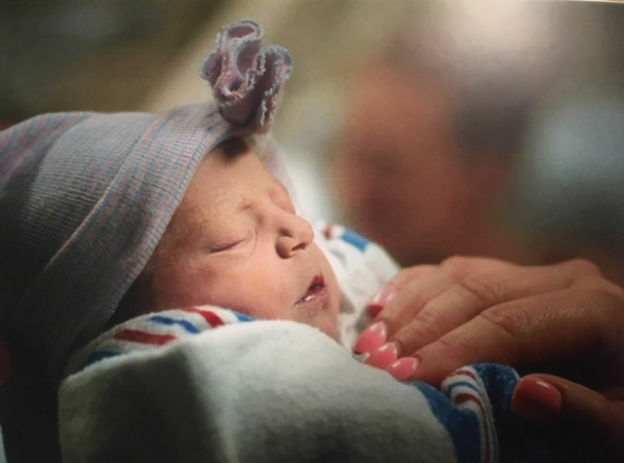 Baby Marion was born on October 10, 2017, and peacefully passed three days later in the loving arms of her mother. Stephanie knew that she wanted to do something to honor her daughter’s short time on earth and preserve her memories, but wasn’t sure what. While she considered organ donation, the grieving mom was told her daughter was not a good candidate, given her health issues. In addition, the Surreys were told that babies needed to be at least 12 pounds to donate organs, and Marion did not that fit that criteria, either. That’s when Stephanie came up with the idea of pumping her breast milk and donating it to babies in need. 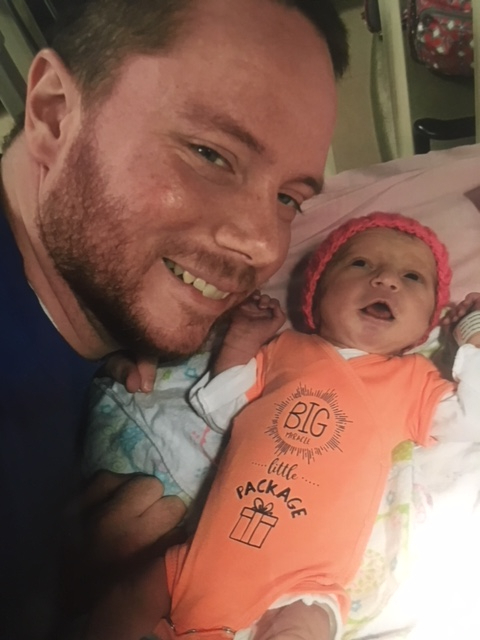 That began an incredible nine-month journey of pumping and donating breast milk for babies in the NICU at Saint Luke’s Hospital in Kansas City, as well as for other babies in need in the Surreys’ local community. In total, Stephanie pumped over 5,000 ounces of breast milk. 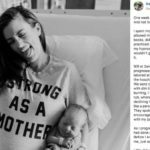 It was certainly an act of love for all the babies who benefited from the milk, but at its core, it was a way for Stephanie and Adam to continue to connect eiyh baby Marion even as they were grieving her loss. The Surreys also felt strongly connected to the babies they donated milk to. A little over 3,000 ounces of breast milk was donated to the milk bank at the hospital where Marion was born. Knowing that this milk benefited other fragile babies who passed through those same walls had a big impact on the Surreys. 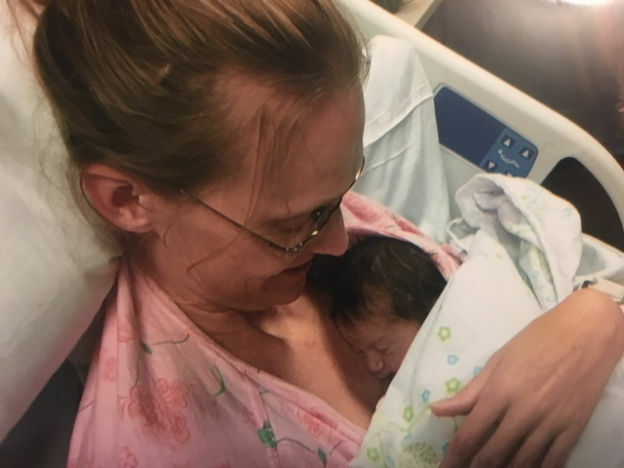 There were times during Stephanie’s pumping journey — for example, when a virus passed through her family — that her milk was not suitable for babies in the NICU. 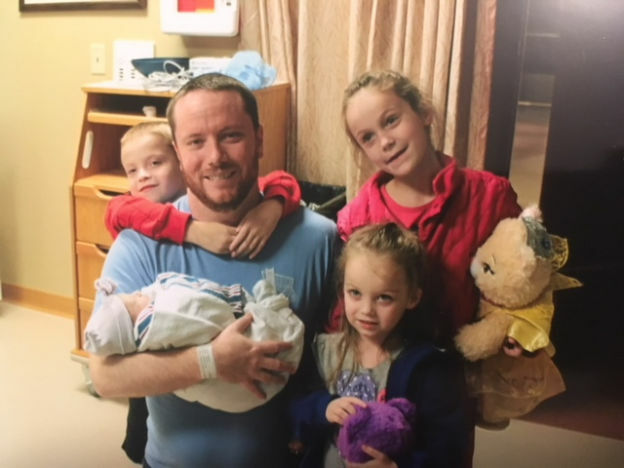 But rather than “pumping and dumping,” the Surreys were able to connect with a local mother whose baby was in need of pumped milk, thanks to the local Facebook group, Human Milk 4 Human Babies-Missouri. 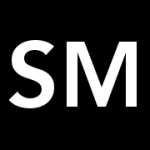 “We found a mom who didn’t mind that the milk had been exposed to whatever virus was going around, because she had other kids in the house that were exposed to the same illnesses at school, ” Adam shares, adding that Stephanie continued to donate to this mom the whole time she was pumping. Maintaining a full-time pumping schedule wasn’t always easy, though. Like many pumping moms, Stephanie soon found that it took over her life in intensive ways. Pumping led her to miss several social engagements, and she had to lug her pump (as well as all of its many parts) to events she did attend, just to keep up with her pumping schedule. But in the end, she says it was all worth it. In fact, when Stephanie’s milk supply dried up around the nine-month mark, she was heartbroken. Now, as the Surreys edge closer to one year since Marion’s passing, they are coping as best they can, though there are definitely still moments when the grief hits them hard. Still, both parents say that the experience has brought their family together in new ways, and even strengthened their marriage. Adam also shares that Marion’s middle name Ohana — which means “family,” and was inspired by the Disney movie, Lilo & Stitch — holds a special meaning for the Surreys. In fact, it encapsulates exactly how they want to honor and remember baby Marion. In her short life (and even beyond), Marion really did make a difference in the lives of so many; and her story continues to touch the hearts of everyone who hears it.